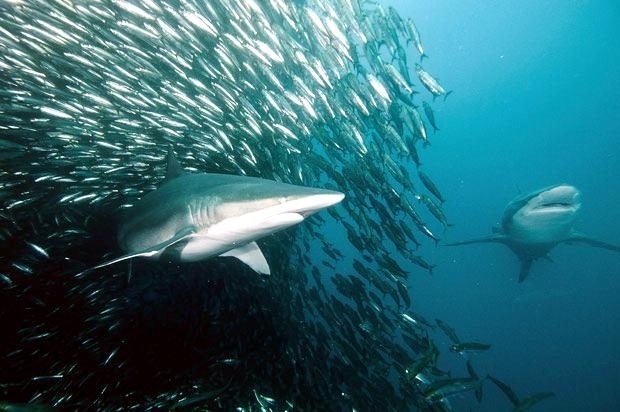 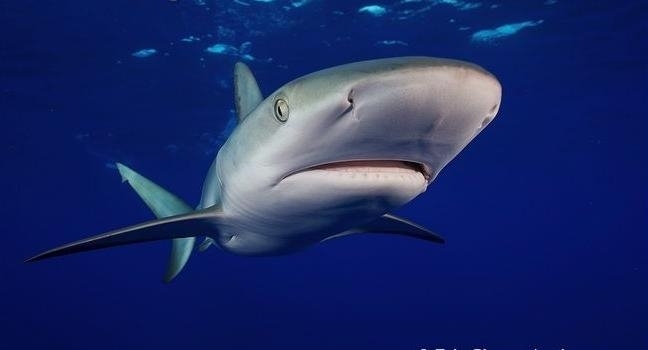 Dusky Sharks reach 4.2 meters in length and weigh a maximum of 346.5 kilograms. 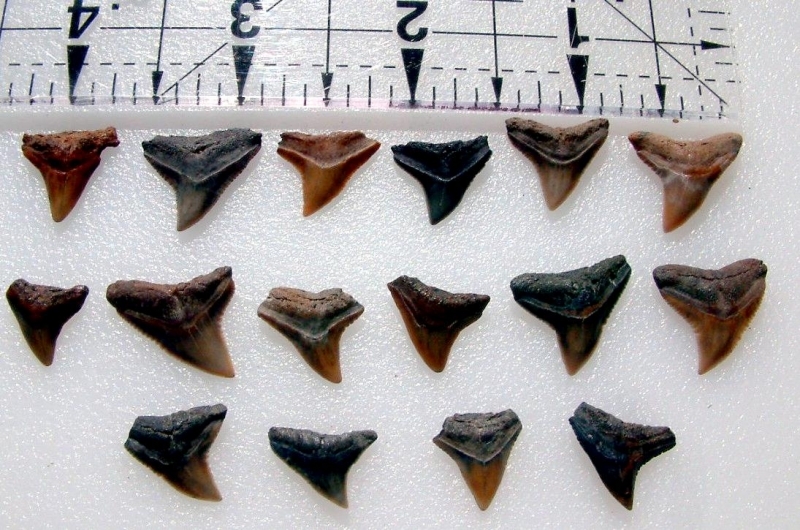 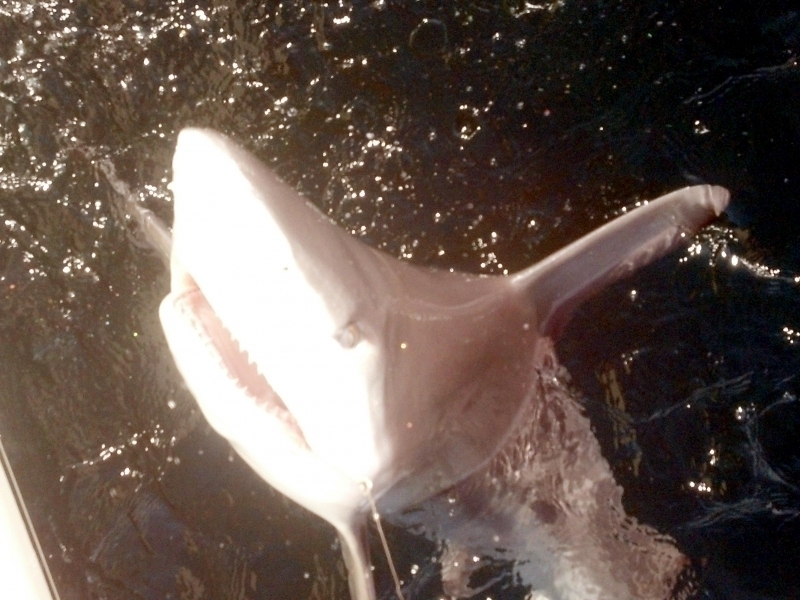 This large shark species has a broad, rounded snout and triangular saw-edged upper teeth. 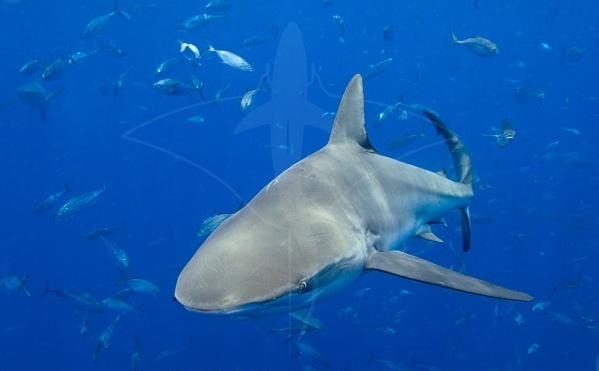 Their curved pectoral fins are moderate in size and they have an inter-dorsal ridge on their backs. 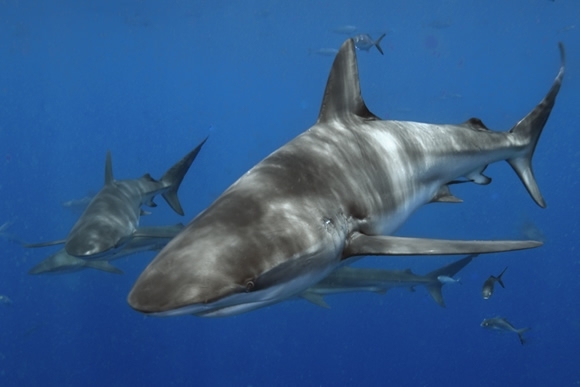 The Dusky is blue-gray to dark-gray on the dorsal side, white on the ventral side. 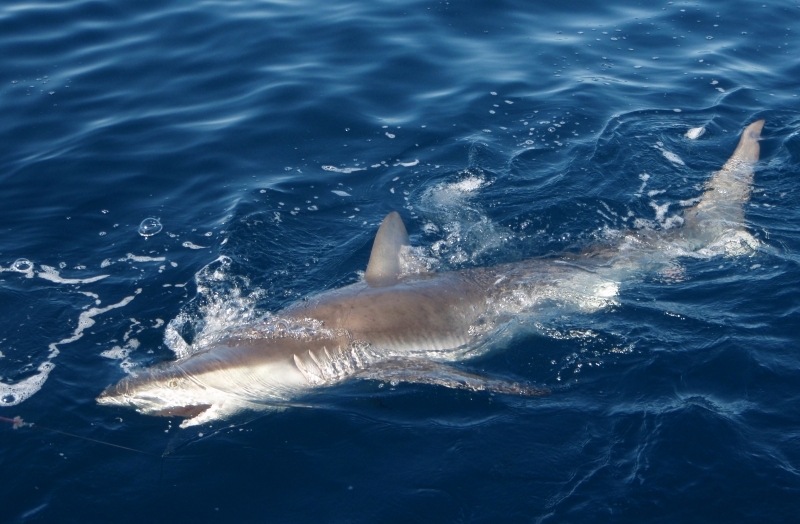 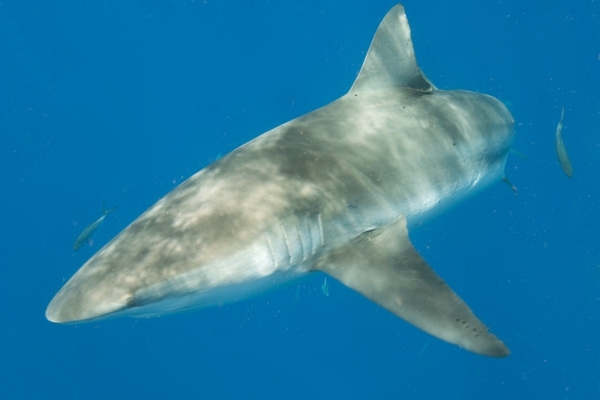 A dark stripe often appears on Dusky Sharks, extending from the pelvic fins to its head. 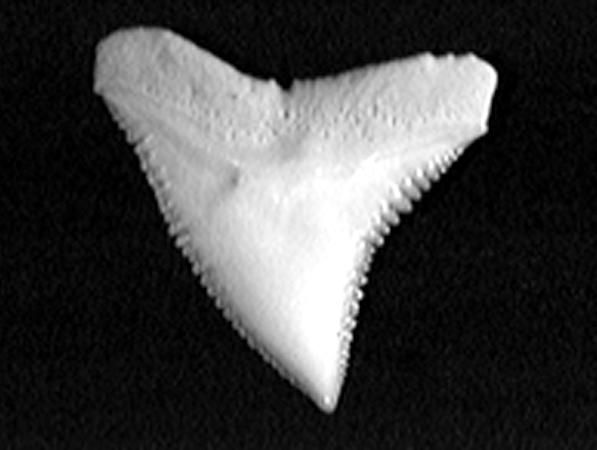 French Naturalist Charles Alexandre Lesueur published the first scientific description of the Dusky Shark in an 1818 issue of Journal of the Academy of Natural Sciences of Philadelphia. 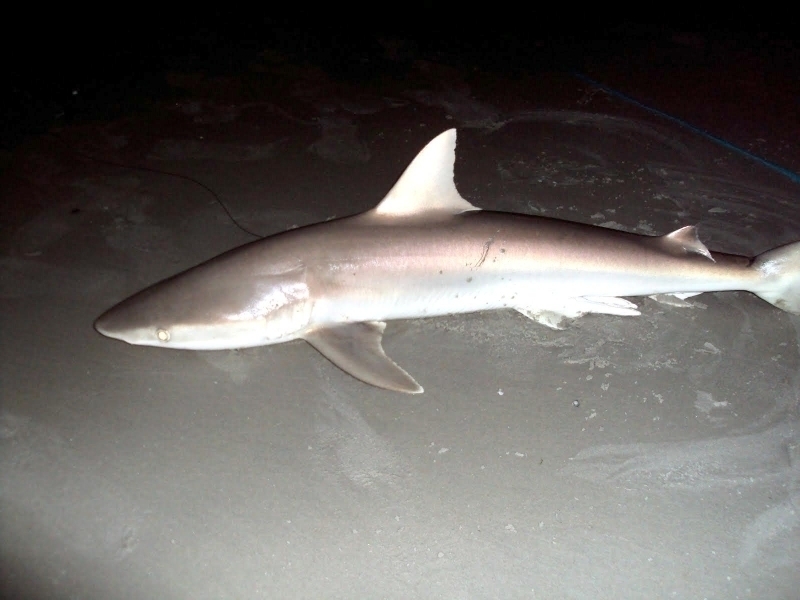 He placed it in the genus Squalus and gave it the specific epithet obscurus (Latin for “dark” or “dim”), referring to its coloration. 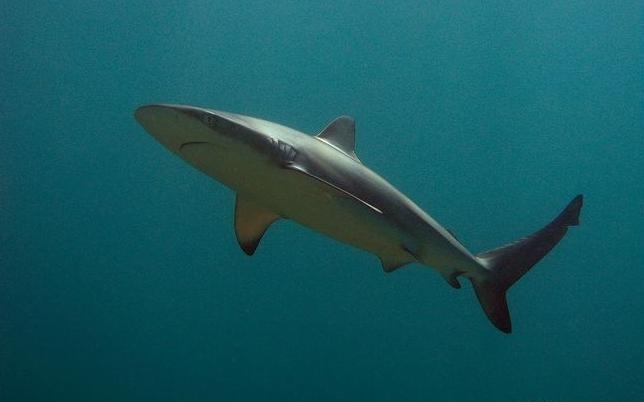 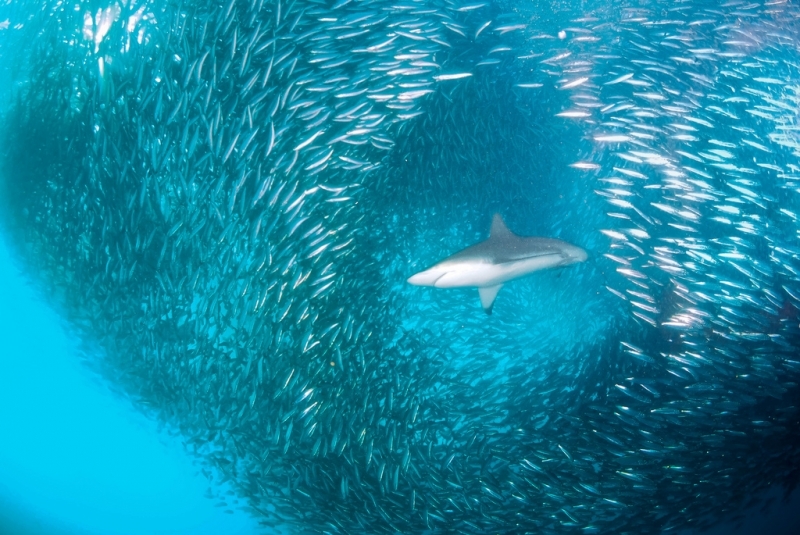 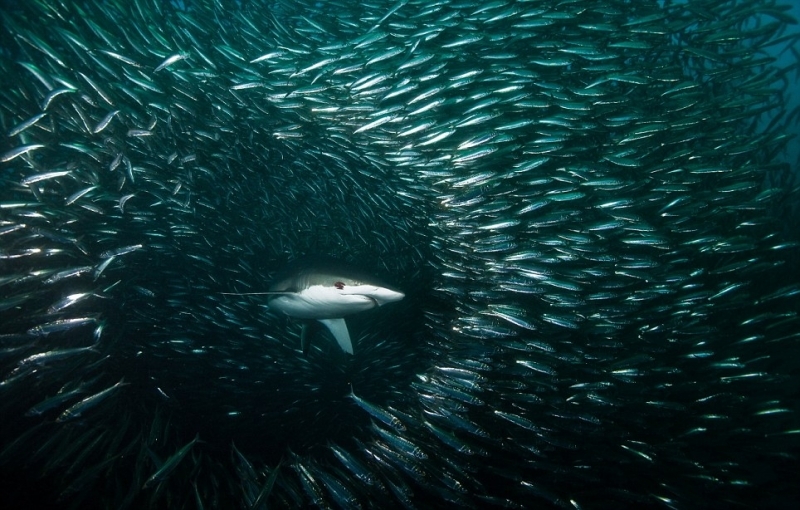 On the average, Dusky Sharks live about 35 years and used to be plentiful in their wide range which extends to the Atlantic, Pacific and Indian oceans. 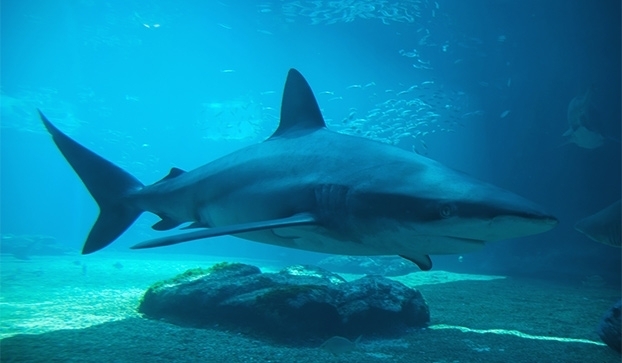 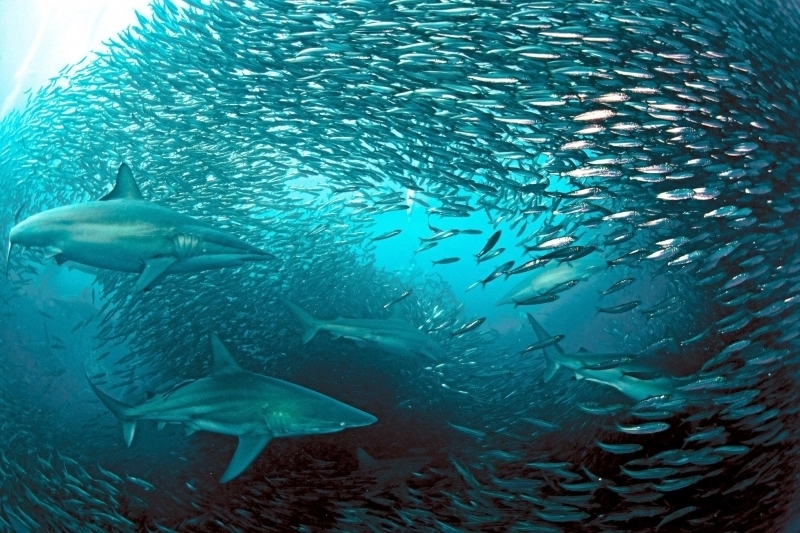 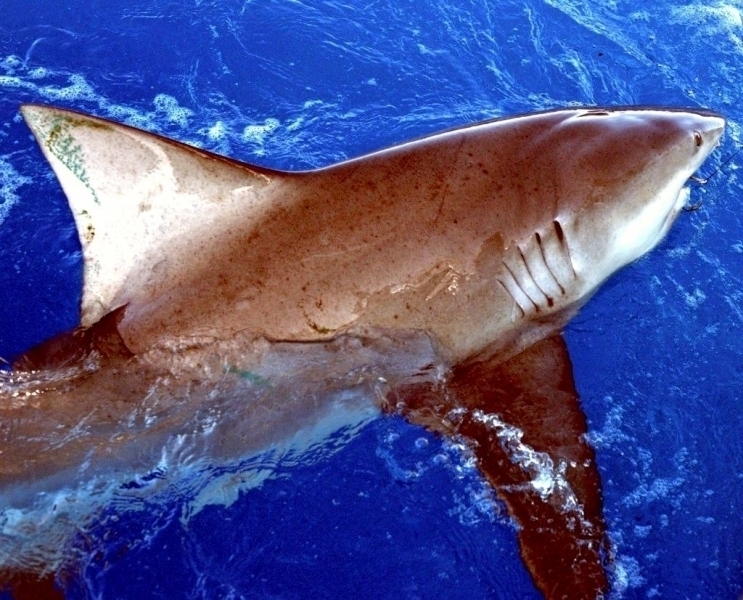 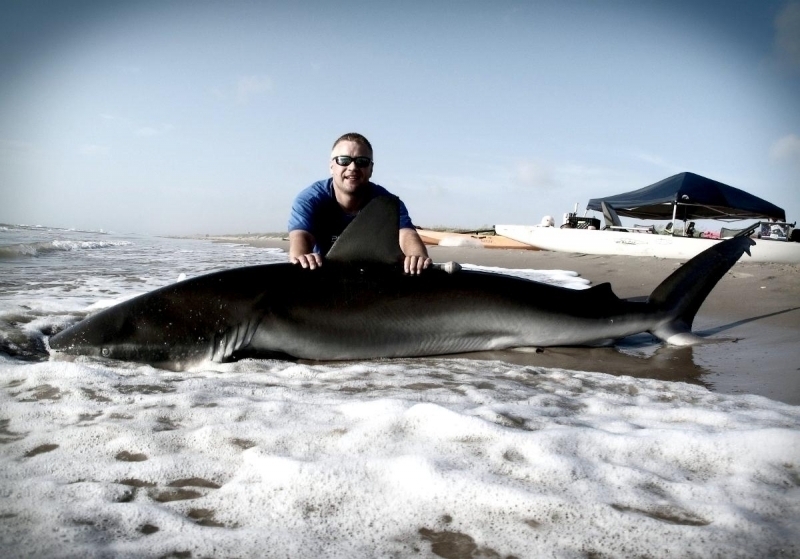 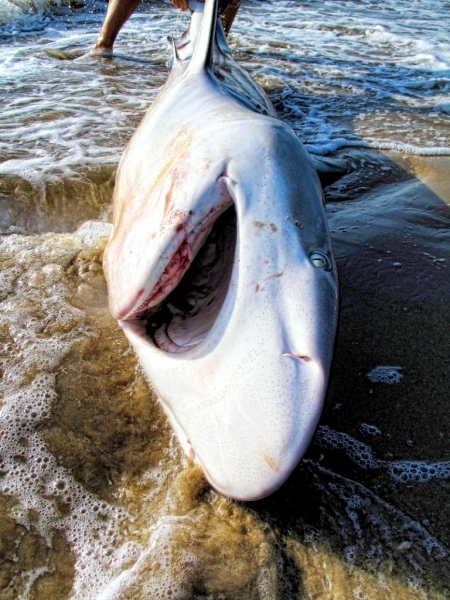 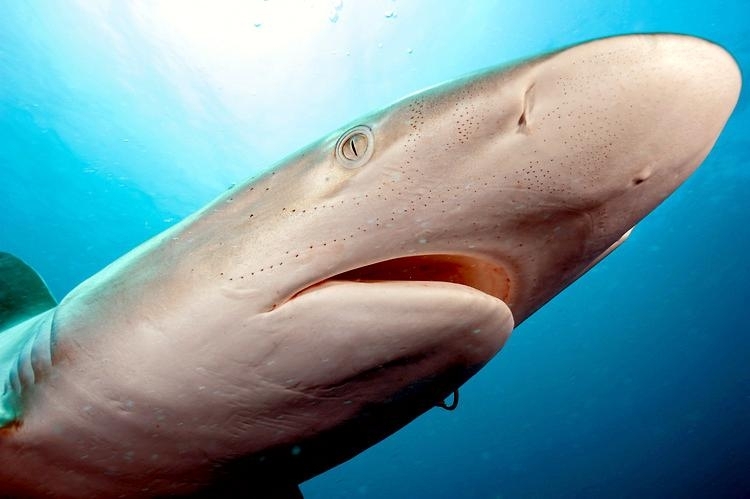 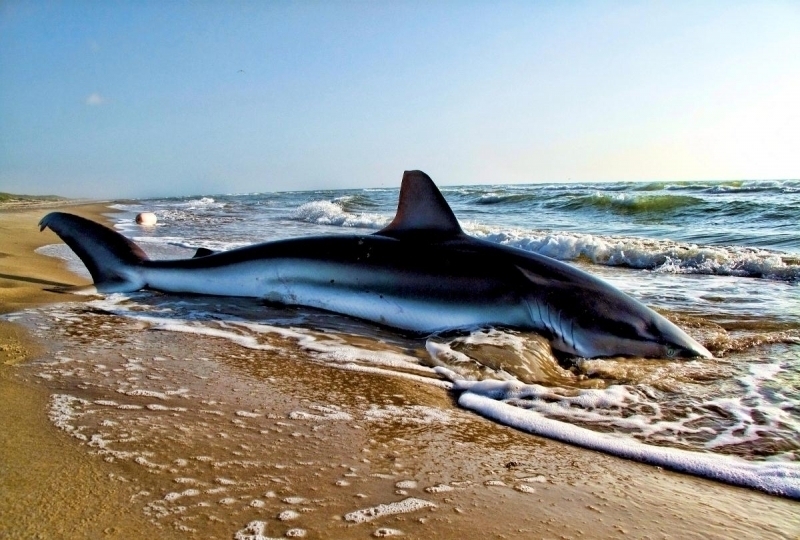 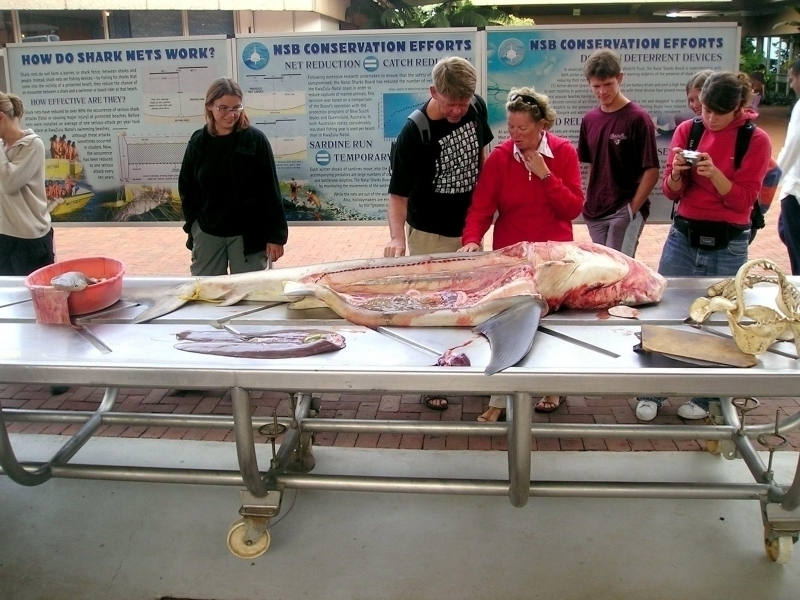 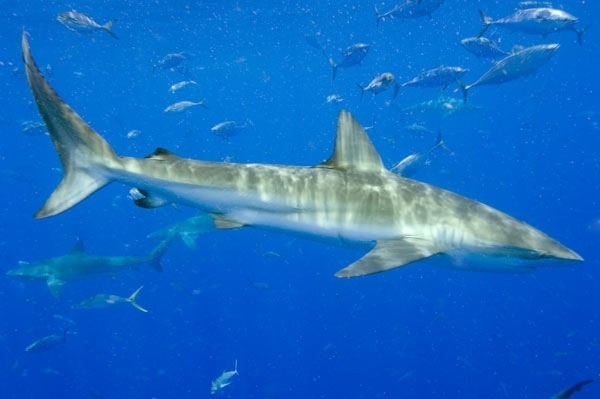 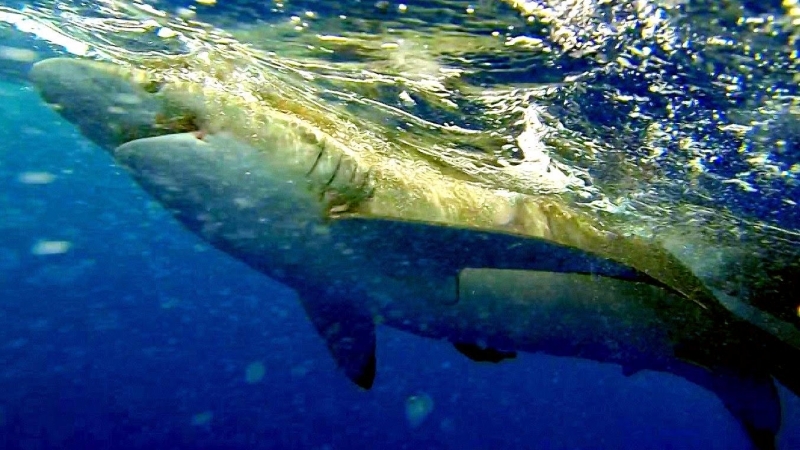 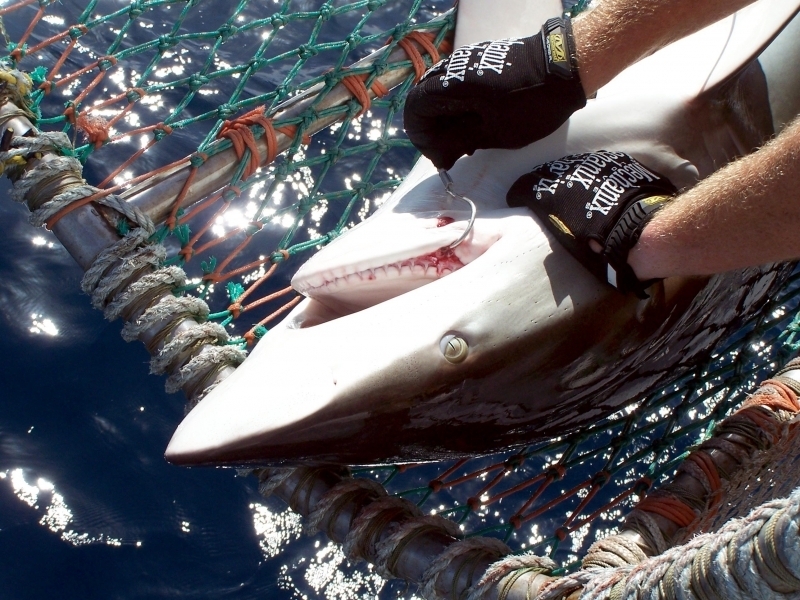 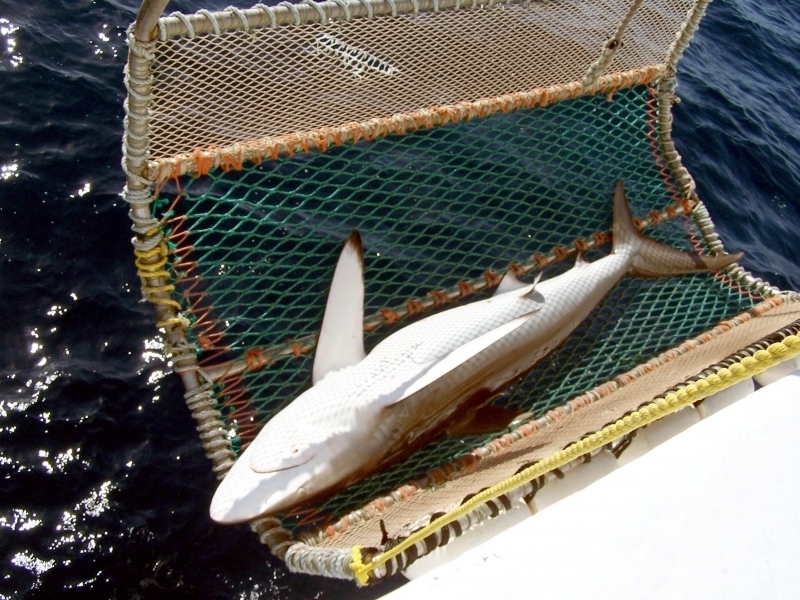 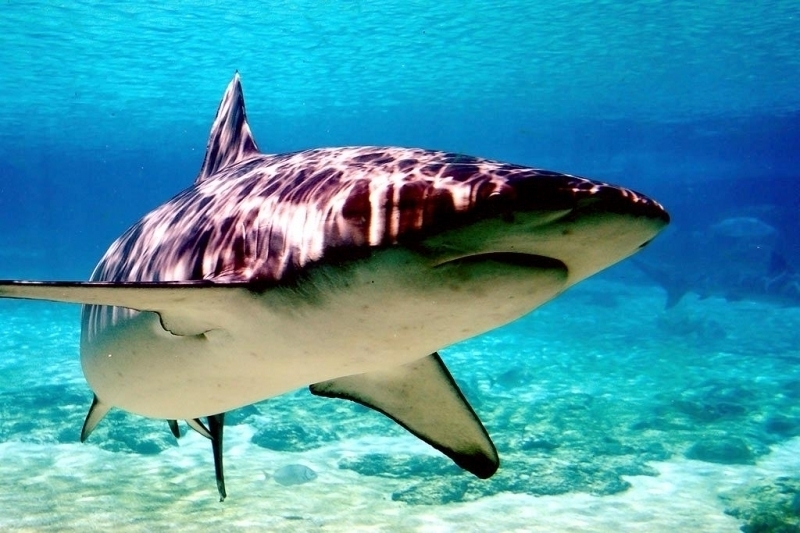 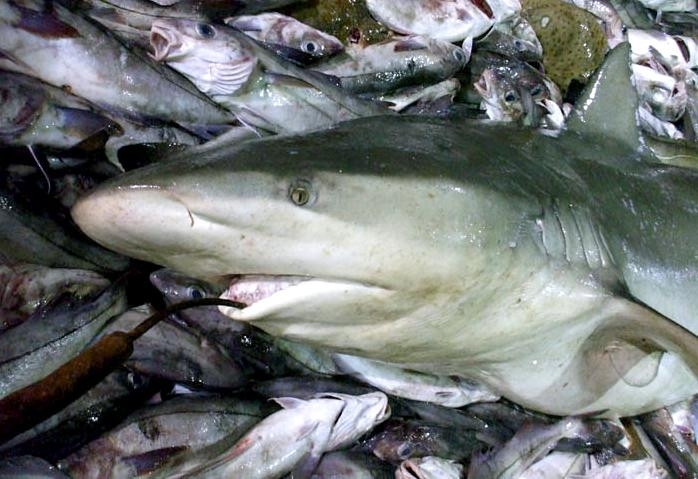 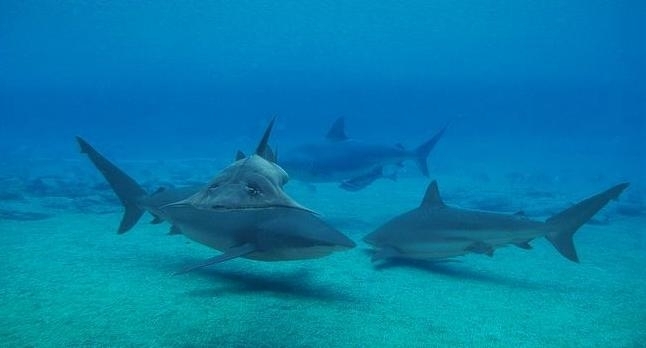 Commercial fishing, pollution and other human-induced pressures have reduced the population substantially over the past few decades and they now are considered to be “near threatened” and experts remain concerned for this shark’s future. 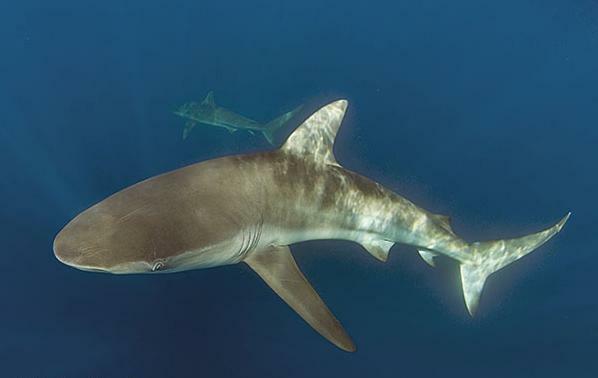 It takes a number of years for this species to mature and grow, reaching lengths of around 13 feet. 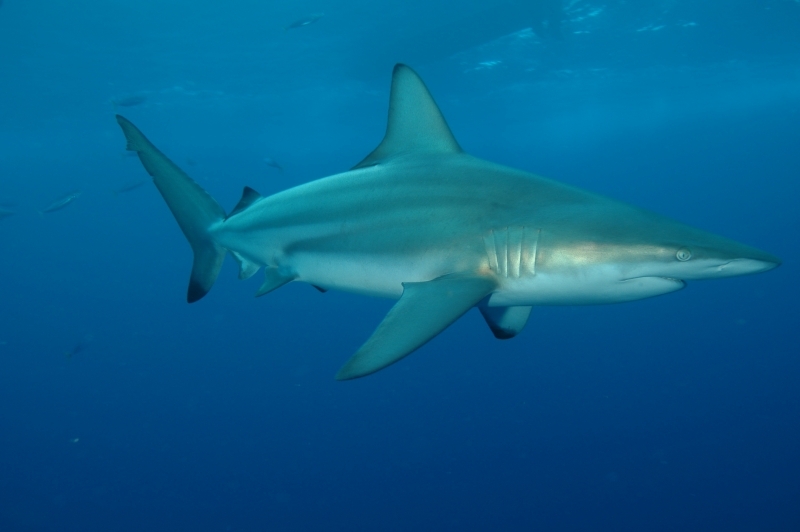 Dusky Sharks are found in warm, temperate continental waters, sometimes favoring a certain region for months at a time before migrating. 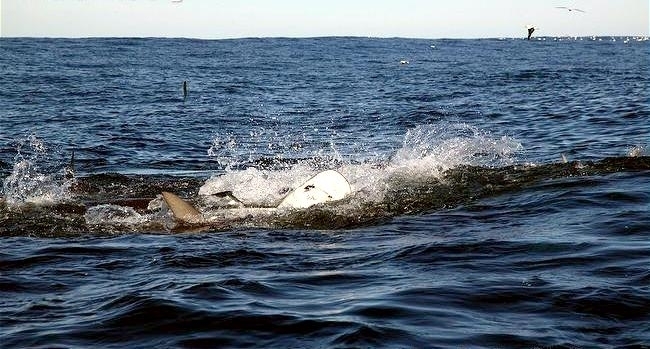 Divers near Sydney, Australia sometimes encounter juvenile Dusky Sharks closer to the water’s surface. 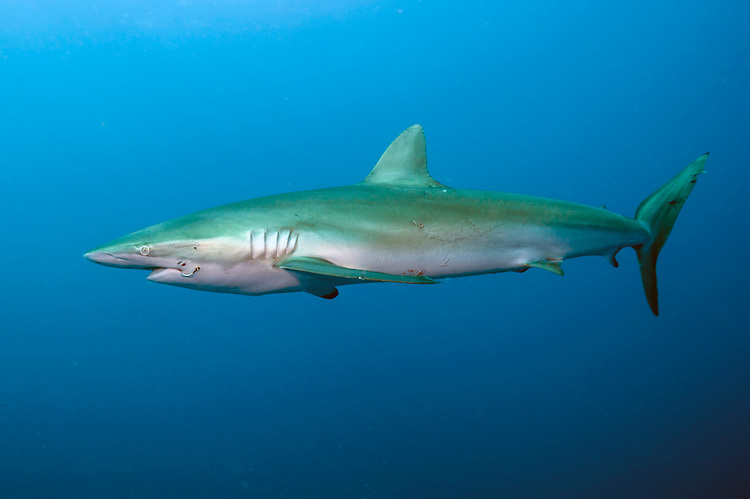 Common maximum depth for a Dusky Shark is 1,240 feet. 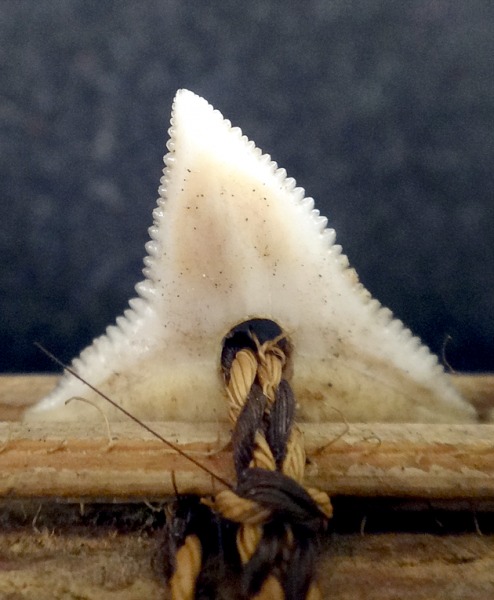 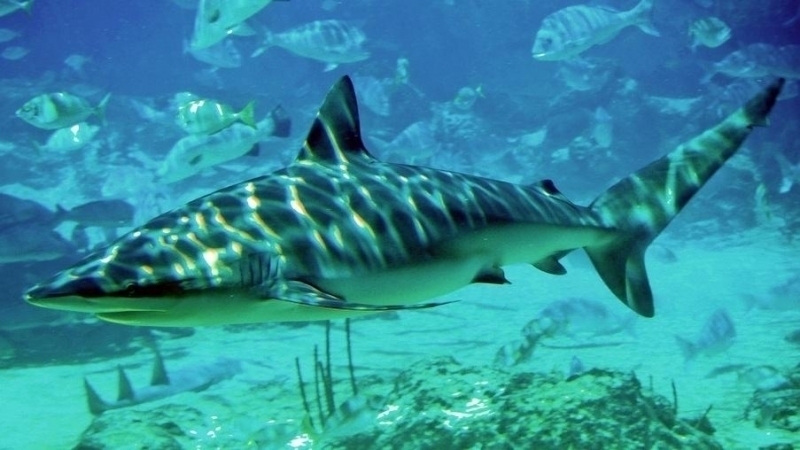 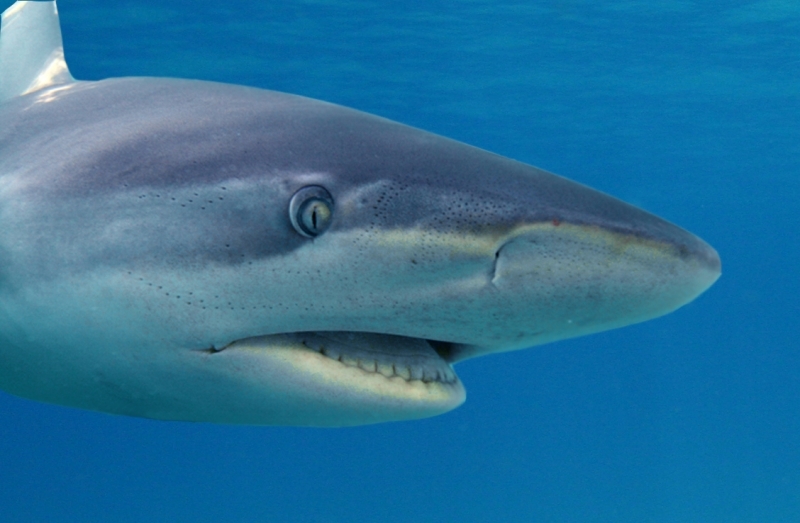 Many sharks have a matching set of teeth, meaning that the teeth set in the upper jaw mirror those in the lower jaw. 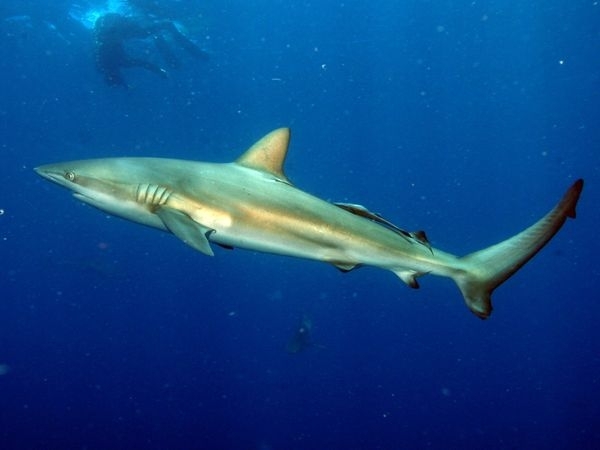 The Dusky Shark however, bites through prey with 2 different sets. 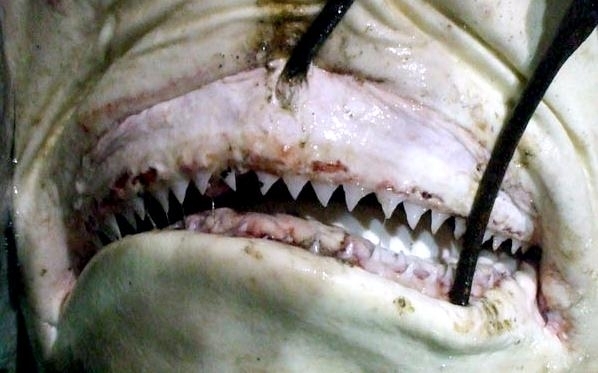 Its upper teeth are shaped like broad triangles with serrated edges. 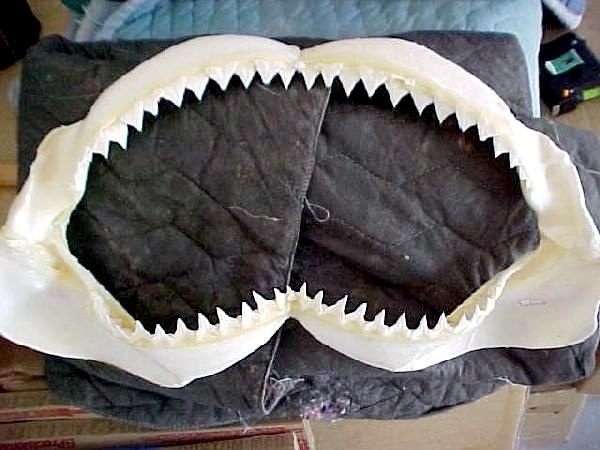 Its bottom teeth are more straight and pointed. 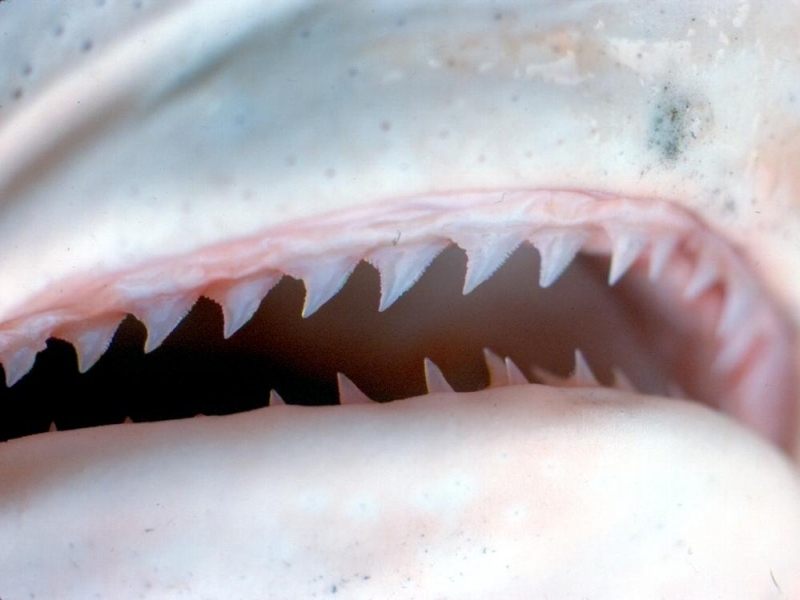 When hunting, the Dusky can then grab and hold its catch with the lower teeth, while the upper ones chomp down like a bread slicer. 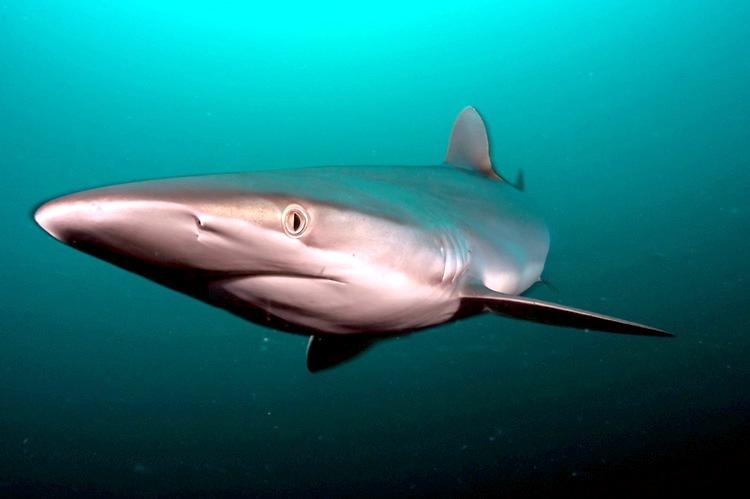 Dusky Sharks are found in subtropical waters between 43°N-43°S in the western Atlantic from southern Massachusetts to Florida in the USA and in the Bahamas, Cuba, northern Gulf of Mexico, Nicaragua and southern Brazil. 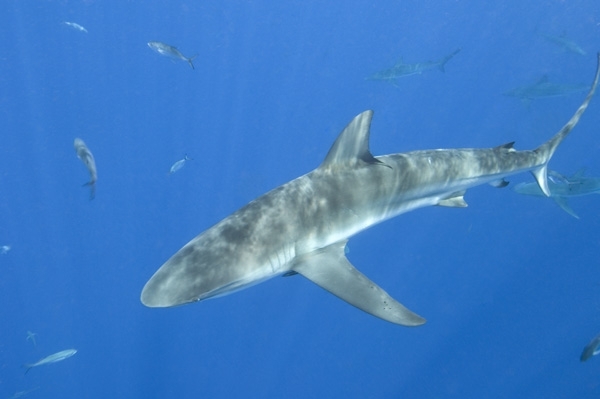 In the eastern Atlantic, Dusky Sharks are found around the Canary Islands, Cape Verde, Senegal and Sierra Leone. They are also found in the Indo-West Pacific, Red Sea, Mozambique, South Africa, Japan, China, Vietnam and Australia. 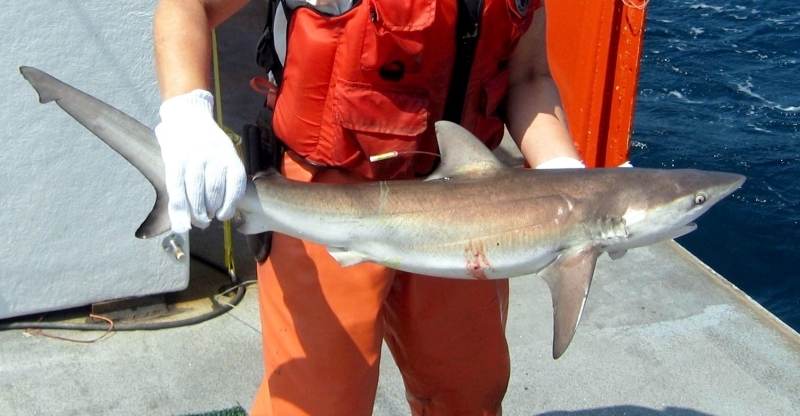 This is a highly migratory species generally found in coastal & offshore waters at depths between 200-400 meters. 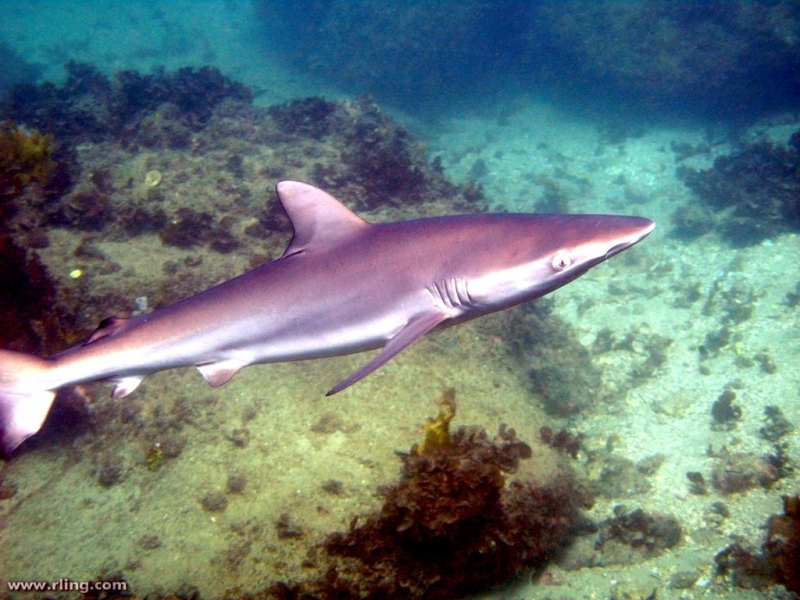 Juveniles are often found in shallower waters. 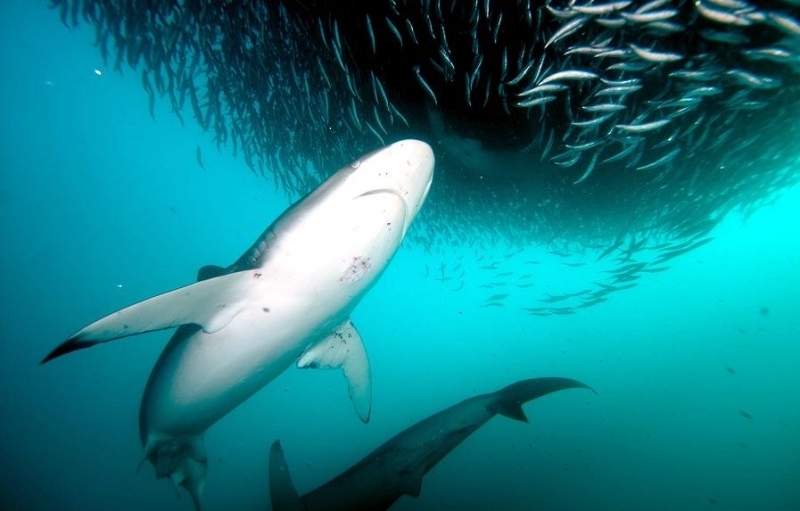 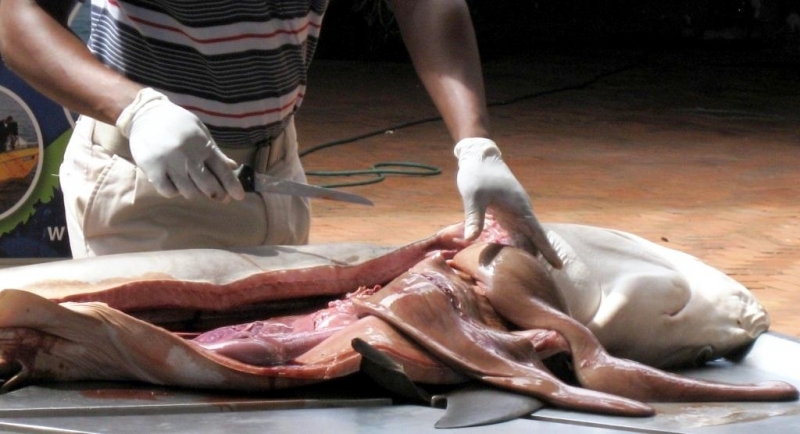 This species feeds on bony fish, sharks, skates, rays, cephalopods, gastropods, crustaceans, occasionally on mammalian carrion and even garbage. 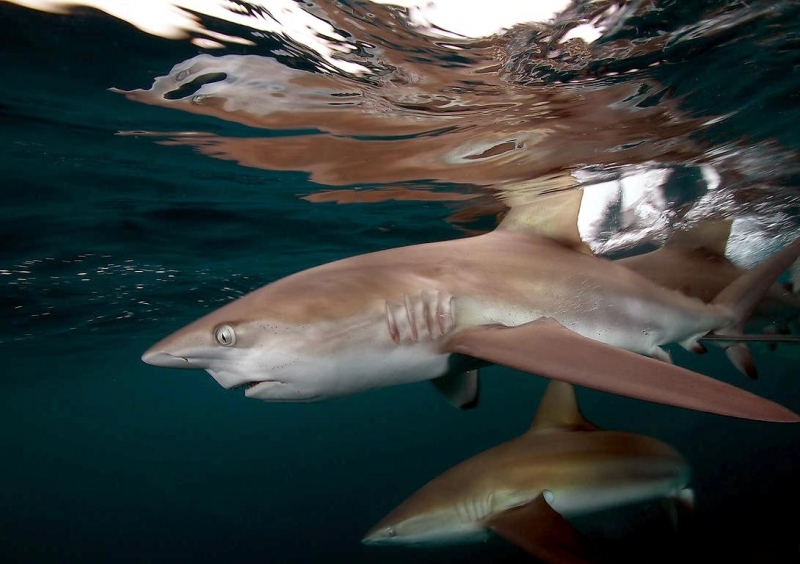 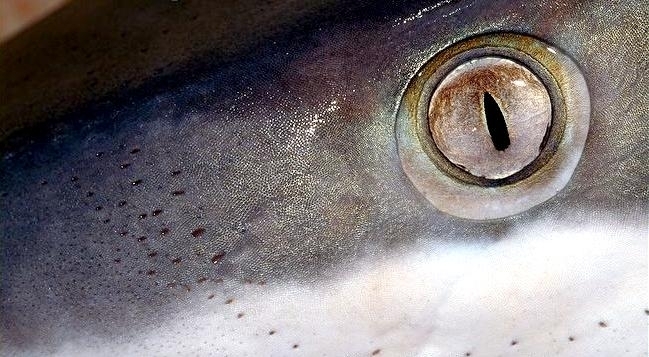 Dusky Sharks are viviparous, meaning embryos are nourished by the female as it develops within her body. 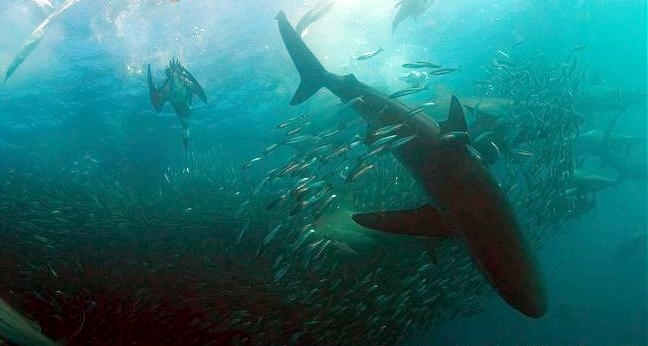 They bear small litters following a long gestation. 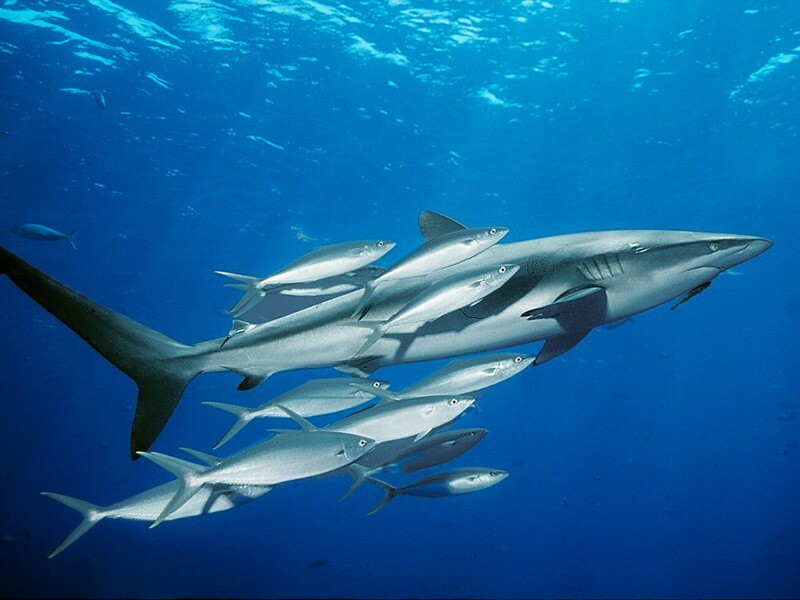 Juveniles grow slowly and reach sexual maturity late in their life, which slows down the re-productivity of this species. 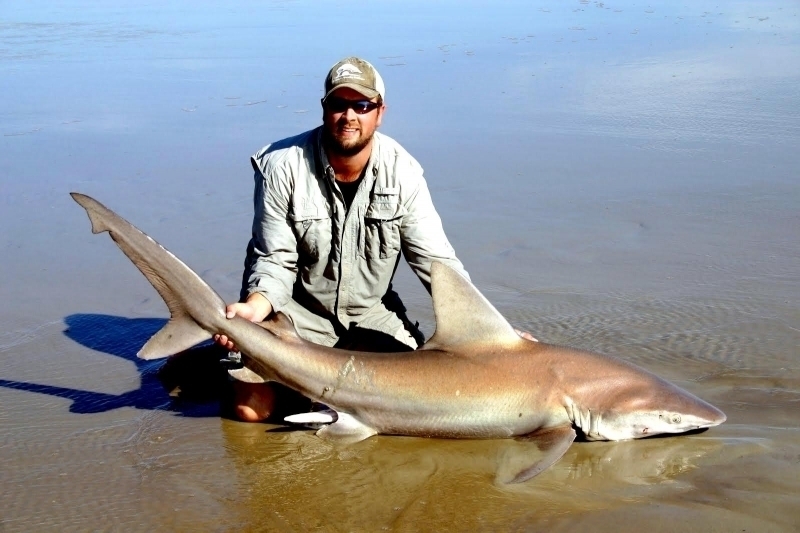 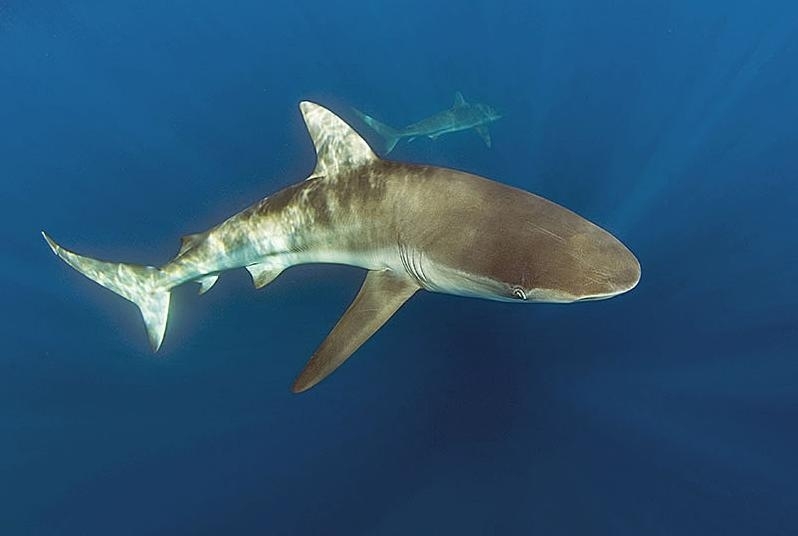 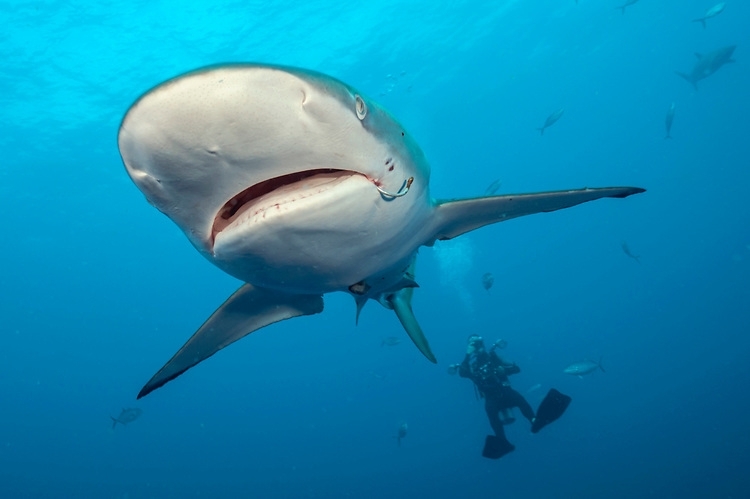 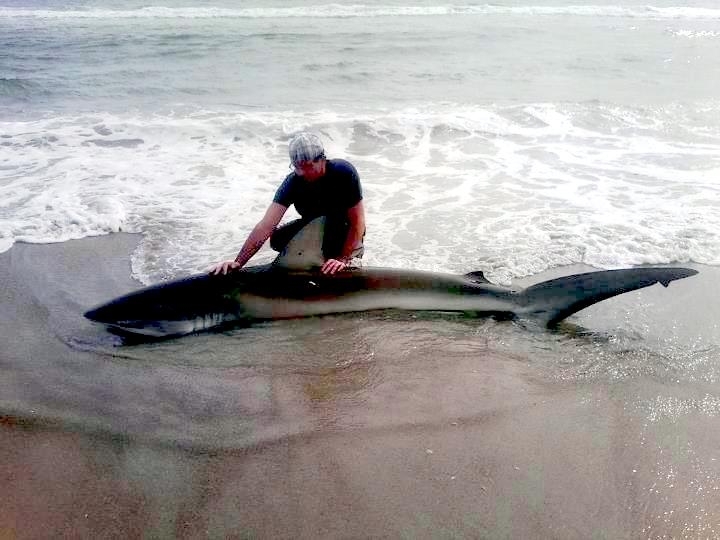 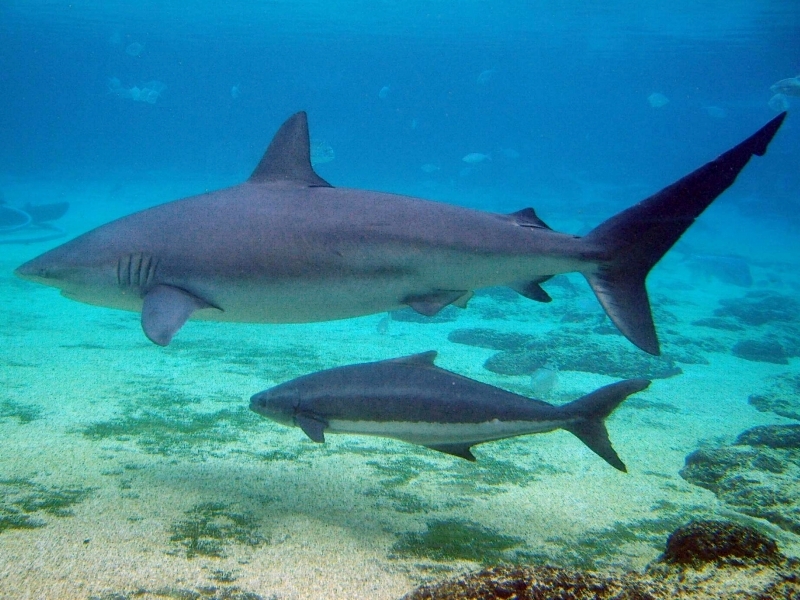 Dusky Sharks are not a dangerous species, however large adults may become aggressive if provoked.